BBA & MBA from IP University (Delhi) in Human Resources and international Business. Entrepreneur with instinct. More than 7+ years of corporate experience. Worked with brands like DLF and KPMG. Handled more than 650 relocations. 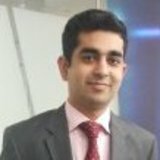 Do You want to chat with Deepanshu Sachdeva ?